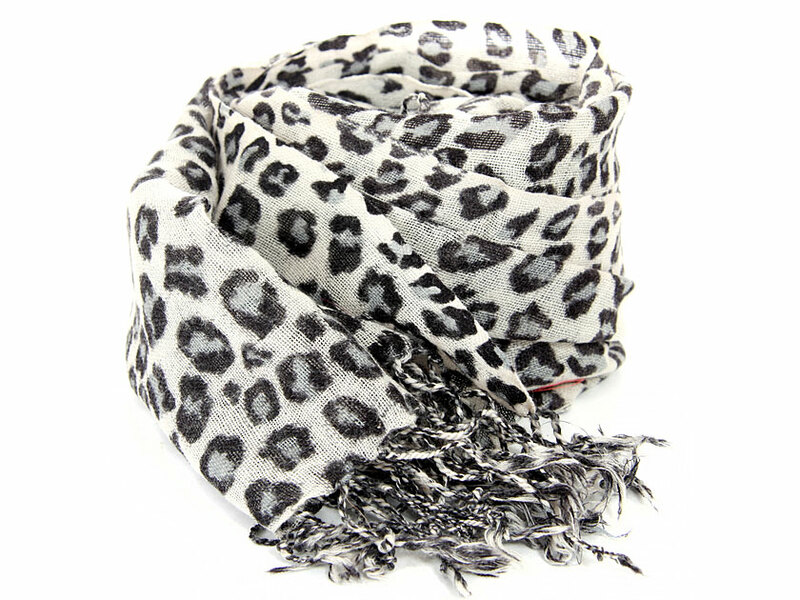 Wholesale Handbags #WJ-65 Black & grey leopard spots are swamped over this ivory colored scarf cast in 100% wool. Decorated with twisted fringe at the ends. Imported. Dry Clean only. Black & grey leopard spots are swamped over this ivory colored scarf cast in 100% wool. Decorated with twisted fringe at the ends. Imported. Dry Clean only.